This is an older painting I found today and thought it wanted a few more dabs of paint. 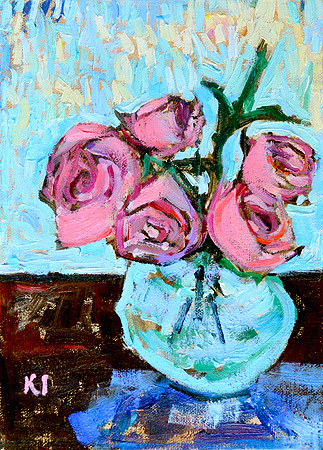 This entry was posted in Still Life Paintings and tagged 5 x 7 inches, bouquet, floral, flower, oil on linen on panel, pink, rose, still life painting, vase on October 5, 2013 by Kevin. 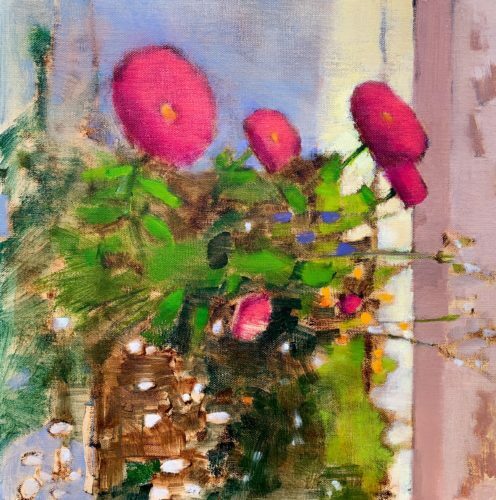 This entry was posted in Still Life Paintings and tagged 10 x 8 inches, bouquet, floral, flowers, gladioli, gladiolus, oil, oil on canvas board, painting, pink on November 7, 2012 by Kevin. 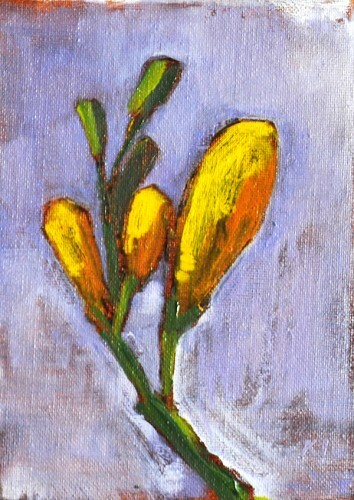 Yellow freesias are one of my favorite flowers. I love the color and the way they smell. They are blooming all over San Diego right now, it looks great. 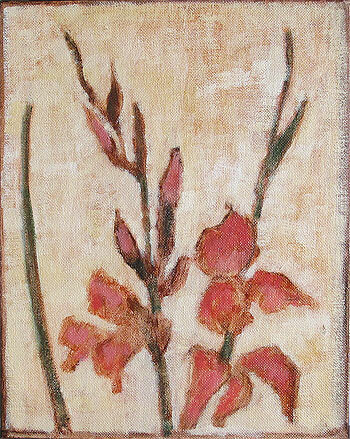 Freesia Painting is for sale at my online art store. 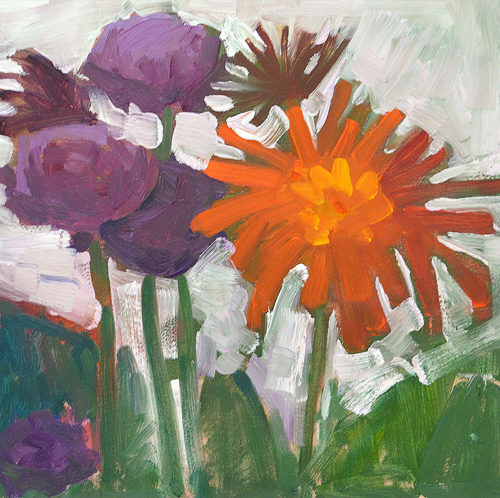 This entry was posted in Still Life Paintings and tagged art, floral, flowers, painting, still life, still life painting on April 7, 2012 by Kevin.